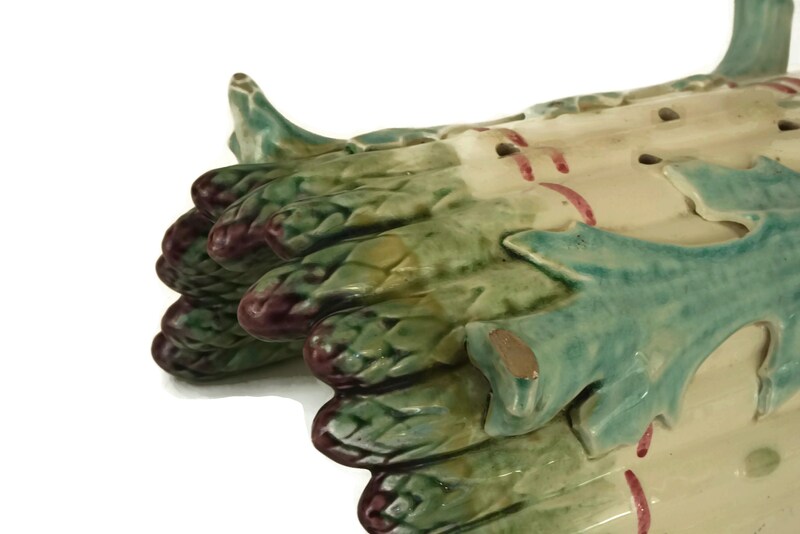 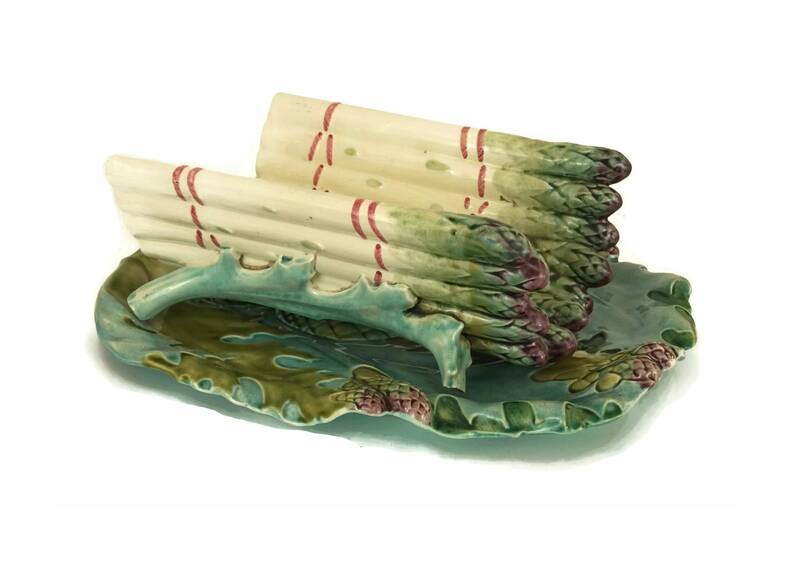 An exquisite antique French majolica asparagus and artichoke platter and cradle from the early 1900's. 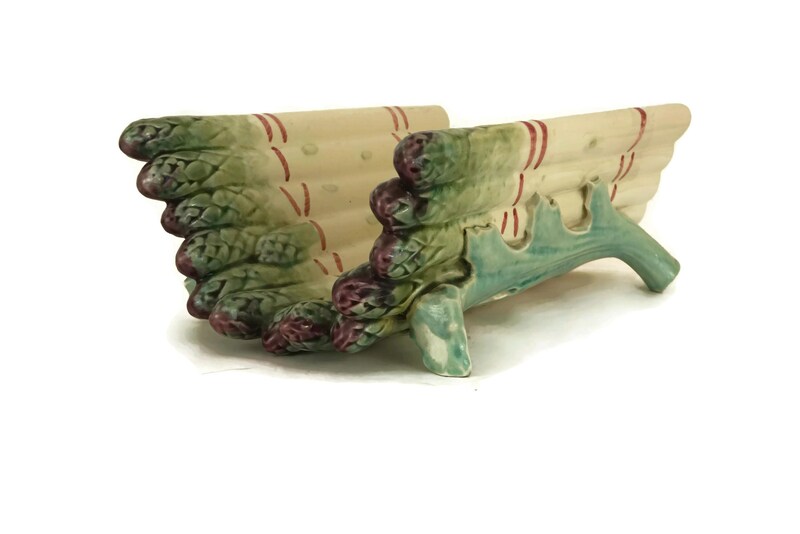 The ceramic asparagus server and drainer was manufactured by the Luneville ceramic company and has been decorated in rich jewel shades. 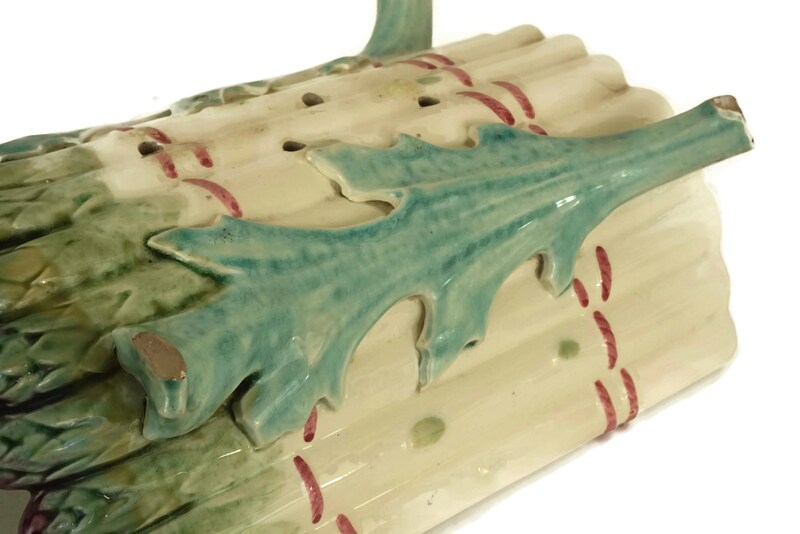 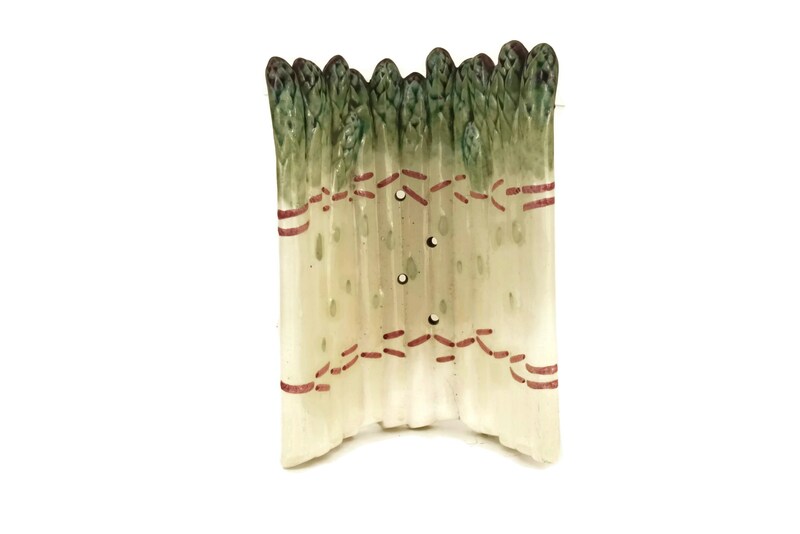 The two sections feature a realistic raised relief design with asparagus and artichoke patterns. 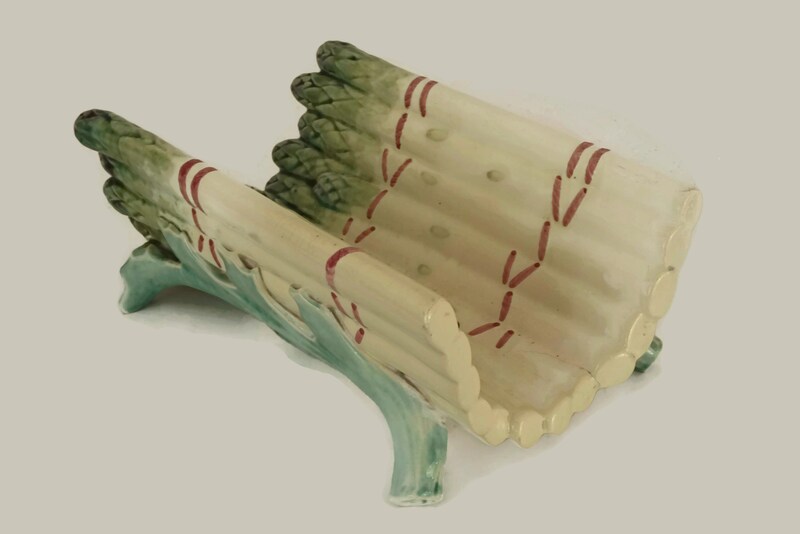 The center of the asparagus cradle has a set of holes for draining the water from the steamed asparagus spears. 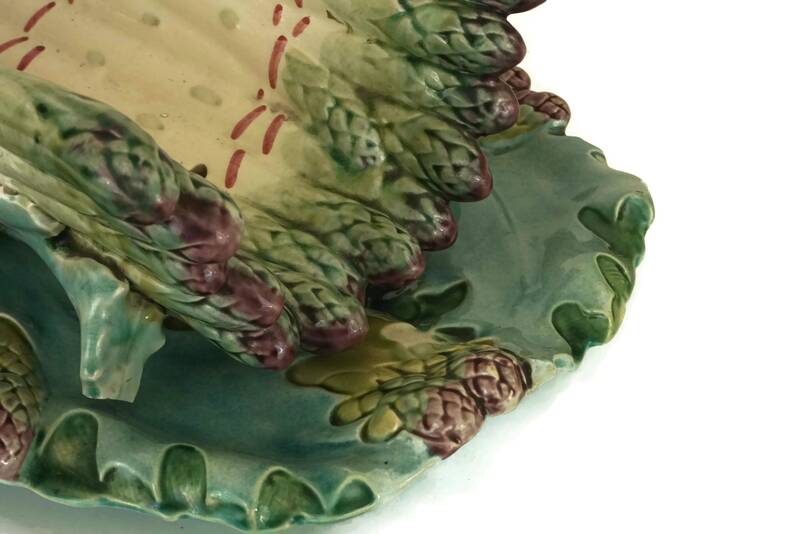 The underside of the majolica asparagus platter has been incised with the manufacturer's pattern mark. 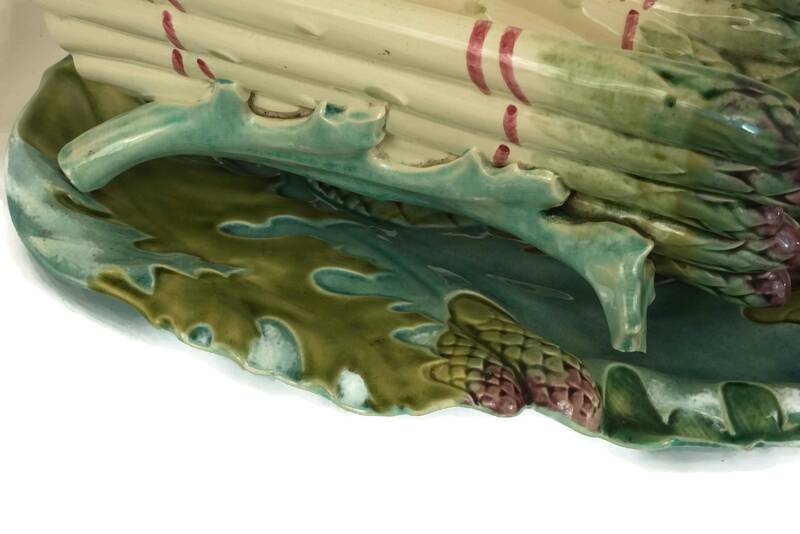 (36 cm x 25 cm x 13 cm). 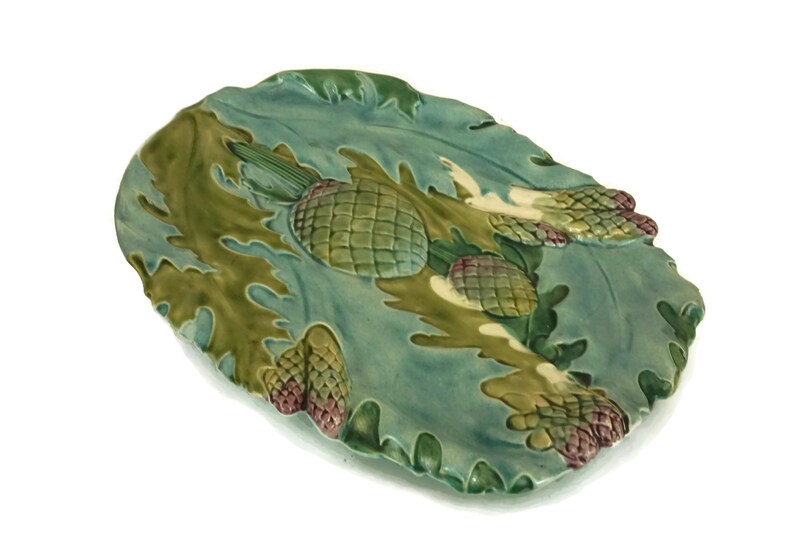 The asparagus serving platter is in good antique condition with some signs of wear. 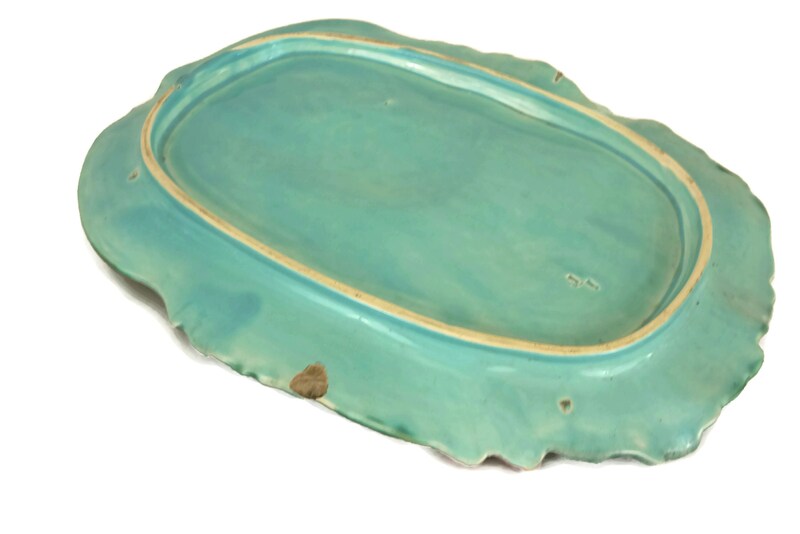 There are small chips to the base of 2 feet on the drainer and a small chip to the underside of the platter.